The shooting took place in the town of Grand Rapids, Michigan. Rodrick Shonte Dantzler killed five adults and two children, and took three more people hostage. 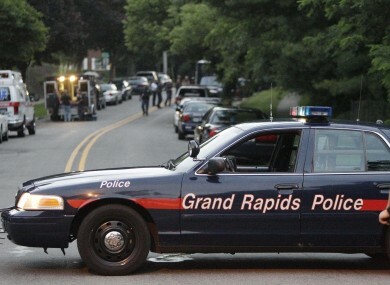 A GUNMAN IN Grand Rapids, Michigan has taken his own life after he shot seven people dead, including his own daughter. The discovery of seven bodies – four in one home and three in other house on the other side of Grand Rapids – escalated into a high speed chase through the town involving police cars and a helicopter, reports Detroit Free Press. The man, who has been named as 34-year-old Rodrick Shonte Dantzler, took three hostages in a home and held them there for hours. He let one of the hostages – a woman – go after his demand for cigarettes and Gatorade was met reports the New York Times (subscription may be required) and then took his own life by shooting himself in the head. Earlier he had killed five adults and two children, including his own daughter, while two of the women he shot are believed to have been former girlfriends. Police Chief Kevin Belk has said that the killings appear to have been as a result of a domestic dispute. Dantzler made a call to his mother at around 3pm yesterday afternoon, and told her that he had killed his wife. Police then found two women and a ten-year-old girl dead at a house, and four more people dead in the basement of another house. One of the four was a child. Following the police chase which saw Dantzler driving the wrong way on the highway with several cars in pursuit, he jumped out of the vehicle he was driving and ran into a home, where he took his three hostages. Email “Gunman shoots seven, including daughter, before taking his own life”. Feedback on “Gunman shoots seven, including daughter, before taking his own life”.